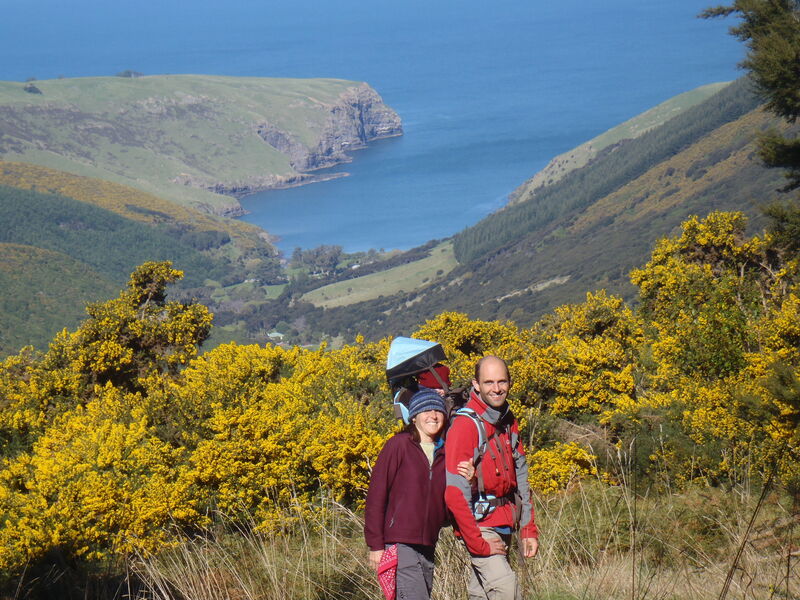 The Banks Peninsula is a humpy ancient volcano (now dead), eroded down to moderate height but still with steep slopes. It’s just southeast of Christchurch, making it a handy hiking spot for weekends when the southern alps are wet and nasty (this past weekend). 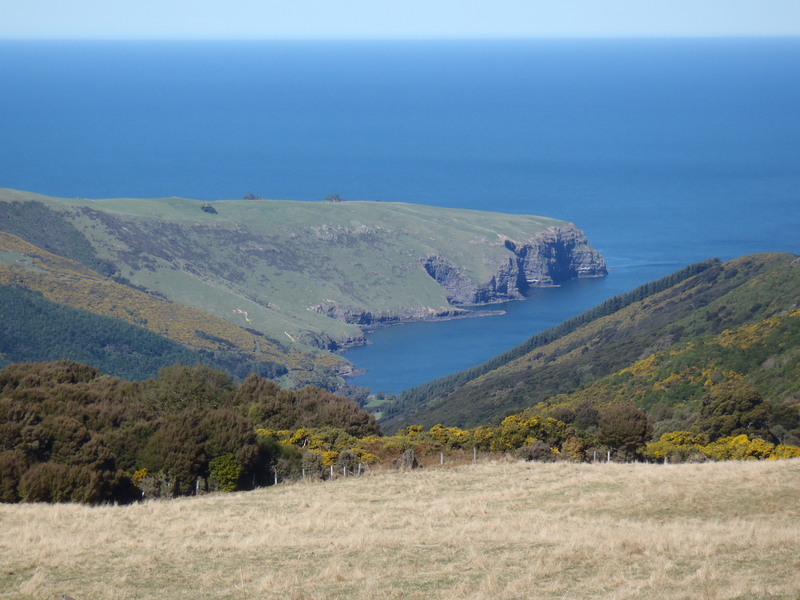 We drove to Akaroa, the last town on the road, and from there hiked up hill, past dozens of sheep (of course, what else?) 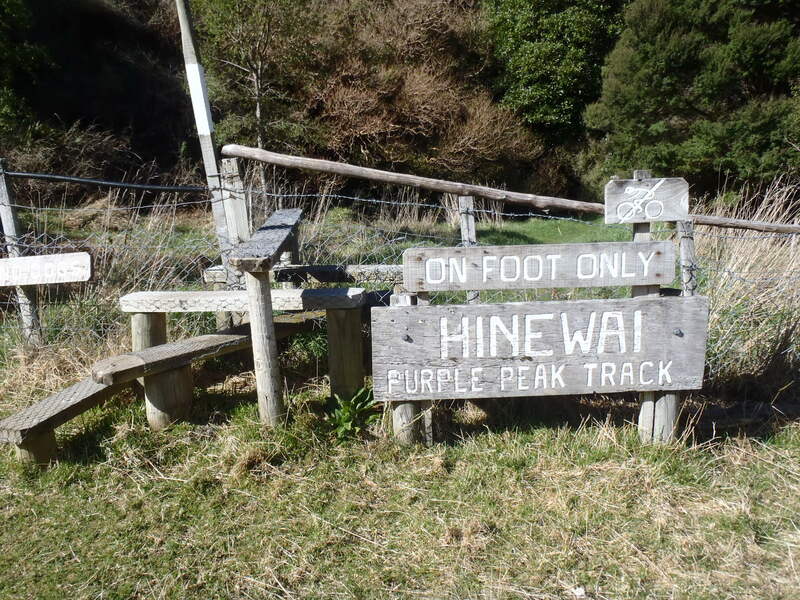 and over to Hinewai Reserve. 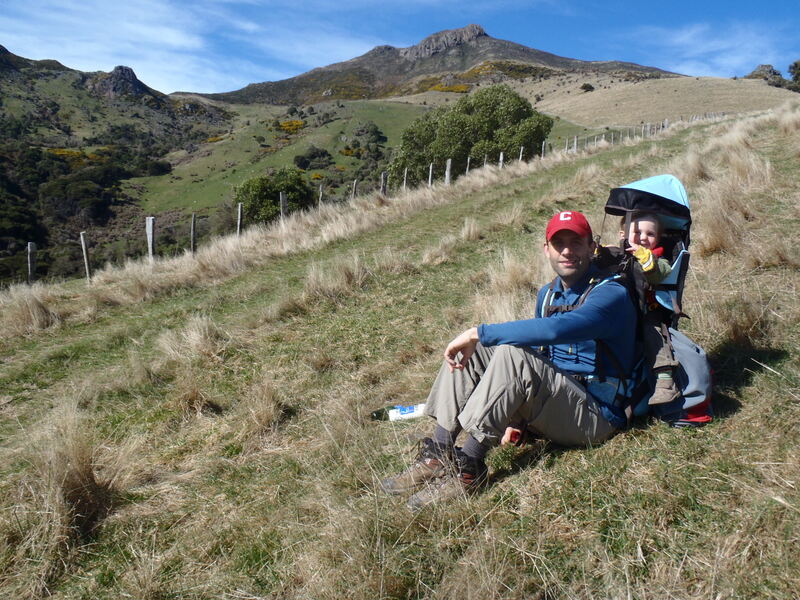 Hinewai reserve is tucked between the arms of the hills, in a particularly wet spot of the Banks peninsula. You can tell where the reserve starts because that’s where the trees and gorse begin. The fence keeps the livestock out of Hinewai, and that’s the point of the reserve. 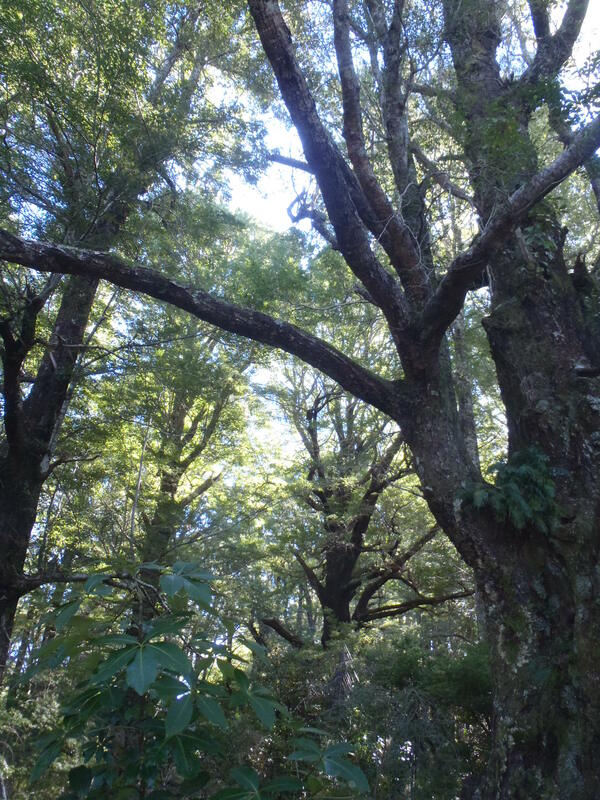 It contains one of the last virgin stands of trees on the Banks peninsula. You climb the style and jump back 150 years in time to what New Zealand was like before all the trees were cleared for pasture. These are giant old beech trees in Hinewai. There’s similar to our beech in north America, but taxonomists have recently split them out into their own family. As lovely as this forest is, the really interest in Hinewai is Hugh, the caretaker. I regret not taking his photo! I’ll get the portrait on the return trip. Hugh is the caretaker of these trees and the whole reserve, and he lives up at the visitor’s center. We puffed up the hill and found Hugh bouncing along sporting short shorts and carpenters’ knee protectors, with a flannel shirt, knit cap, full white beard and twinkly blue eyes. He knows every plant and animal in that reserve by name, class, family, genus and species. And he loves them. He’s just like Old Tom Bombadil that Tolkien writes about. I don’t know what the New Zealand flag looks like, some boring iteration of the Union Jack. But I do know the flag of the All Blacks, the Kiwi rugby team, because everyone flies it, wears it, and loves it. It’s a fern. Strange symbol for a tough rugby team but appropriate for New Zealand. 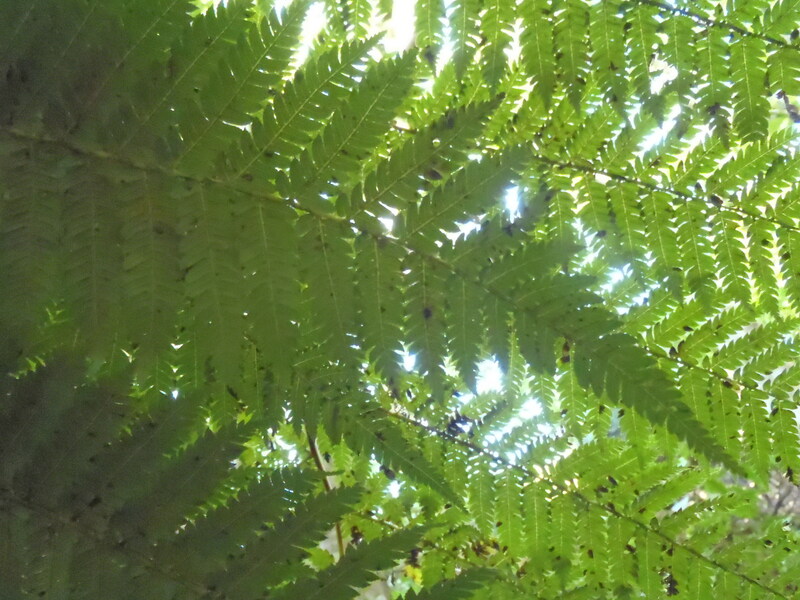 This picture is looking up through a tree fern. 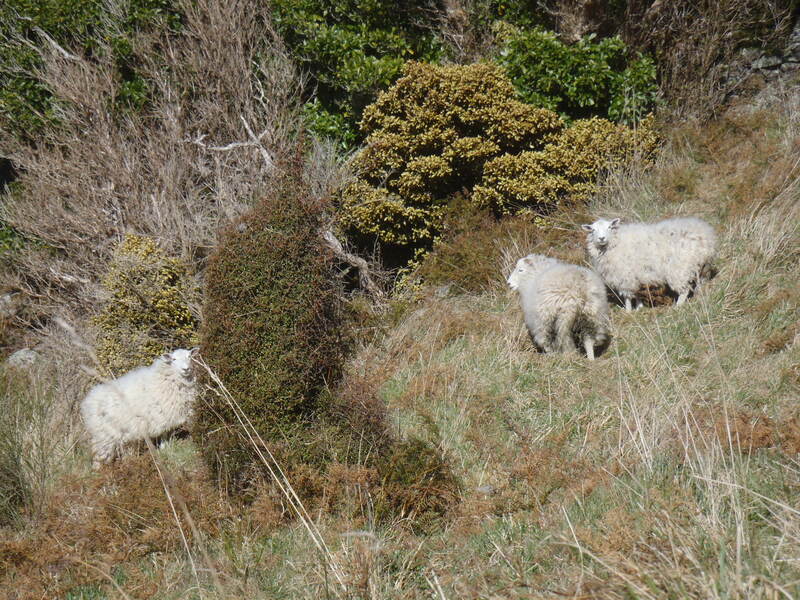 Three lone sheep were hanging out at the saddle of the hill. Domestic sheep all have docked tails, but these girls had tales hanging down to their hocks and look like they haven’t been shorn in more than a year. I wonder if they are escapees. 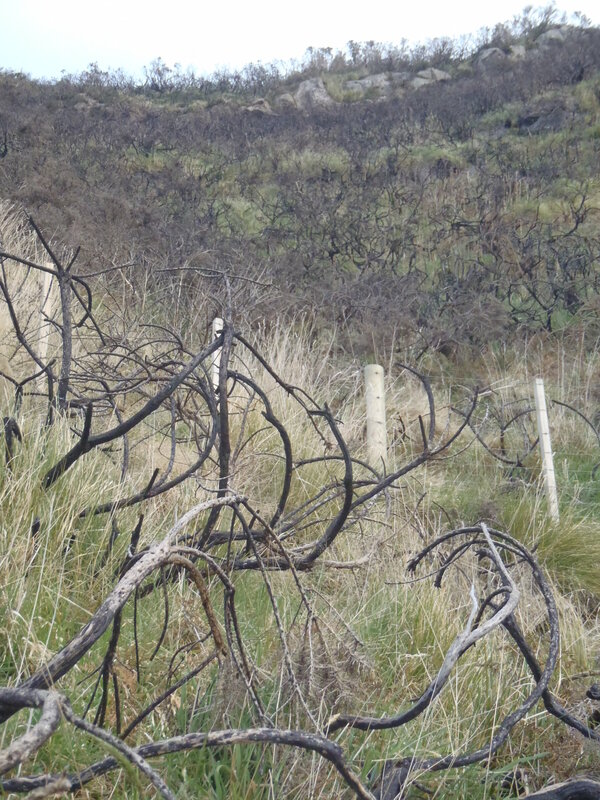 Walking back down the hill we passed this creepy grove of dead scorched gorse, looked just like Dr. Seuss’ Snidebush. I’m assuming they were intentionally burned, since they’re invasive plants here. The only line I could recall from the “Pale green pants with nobody inside them” story was “I went to pick a peck of Snide in a dark and gloomy Snide-field that was almost nine miles wide!” Looked for the pale green pants madly pedaling a bike, but only saw a dead sheep. Ah another lovely hike through NZ without a bite, scratch or ache on me! I loved it. Lovely sights & lands & stories you’re telling. God bless and have another great week in your new home. Maria, I LOVE that shel silverstein poem, thank you! I hadn’t heard it before. it’d be a good one to put on Milo’s wall in his bedroom too.